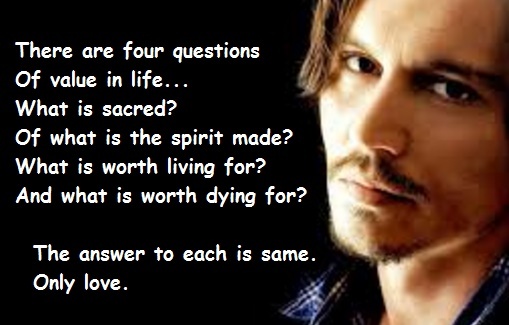 There are four questions of value in life... What is sacred? Of what is the spirit made? What is worth living for? And what is worth dying for? The answer to each is same... Only love.